The Caribbean has had a complex, yet fascinating history. How better to present this history than visually through photographs? 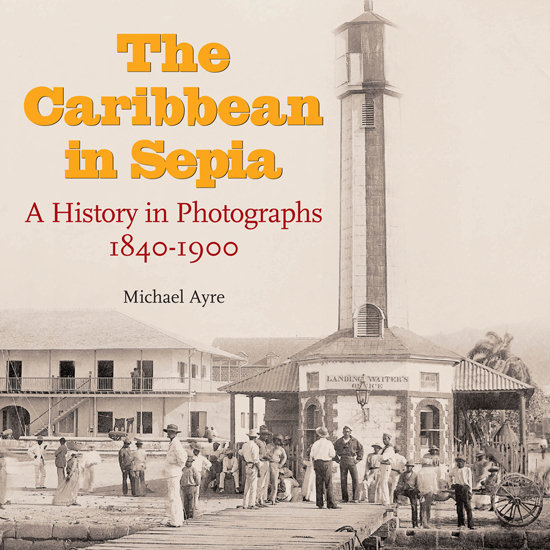 Michael Ayre combines his interest in the economic history of the region with a long-standing passion for the history of photography to present a compelling visual narrative of the Caribbean world of the late nineteenth century.This book analyses how the old Caribbean order of slavery and plantation sugar was swept aside by a series of fundamental changes which reached into the deepest corners of economic life and society. Organized as a series of visual essays, the first section ‘Building a New Society’ encompasses the immediate post-Emancipation period along broad social and economic themes such as the Sugar Industry, Indentured Immigration, the Gold Rush, Health and Education, and Leisure, Dress and Style. The second section focuses on ‘People and Places’ and the development of various territories from the Bahamas down to Guyana and Suriname. The final section represents a ground-breaking study of the historical evolution of photography in the Caribbean, complete with timelines of the major events together with profiles of the most prolific photographers of the period. This is a carefully researched reference book on an overlooked yet pivotal period in the historiography of the Caribbean. Altogether, the book includes close to 500 images — the majority of which have never been published before — drawn from 42 institutions in North America, Europe and the Caribbean, scanned and processed to the highest standards possible and integrated with a sparse but enlightening narrative. Impressive and enthralling, The Caribbean in Sepia is both an important reference work and a work of art. It is a tribute to the dynamic and very distinctive Caribbean way of life. Michael Ayre researched the economic history of the Caribbean for his graduate degree at Columbia University. Later, extensive travel throughout the region, a holiday home in the Netherlands Antilles, and an in early photography came together to inspire The Caribbean in Sepia. For many years, Michael has directed enterprise development programmes in the Americas and Eastern Europe. Size: 180mmx 180mm Caribbean through a lens - explored!